This post is the third installment of a five-part series, chronicling Mr. Rickbeil's educational trip (and much needed vacation) to Finland this past summer. Inspired by the work of noted travel author Rick Steves, one of the goals of my Finland trip was to fully experience the ins and outs Finnish culture. In his writing, Steves encourages tourists to go beyond the "touristy" places to truly meet the people of a foreign culture and embrace their way of life. 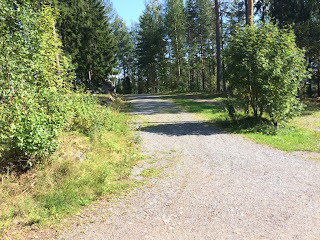 During my time in Finland, I learned quite a bit about the Finnish people by going to Church, shopping at the grocery store, visiting the public sauna, and taking walks through the central marketplaces of the towns. However, I gained my best insights on Finnish culture by visiting Finnish schools. For one week of my visit to Finland, I participated in a Finnish study tour led by a company called Learning Scoop, which specializes in giving foreign educators a tour of the Finnish education system. During my study tour, I was able to visit four different schools, spending a few hours at each school. I walked through the hallways, visited classrooms, met with some of the students, teachers, and principals, and dined on their school lunches. One of the biggest differences I noticed with their culture was their special treatment of the classes we would call "specials". Looking at a side-by-side comparison of our two curriculums, I noticed that Finnish students spend more time working on classes that we would not consider our "core" subjects, such as foreign languages, physical education, art, and music. Although Finland's students place near the top of the charts on international reading, math, and science tests, they spend a smaller proportion of their school day in these subjects. Instead, it is very common to find Finnish students studying other pursuits during a school day. Students learn multiple foreign languages in school, and it is not uncommon for a middle school student to study Swedish, English, and an additional language of their choice in addition to their native Finnish. Music and art are also important parts of their curriculum, just as they are in many American schools. While many Trinity students would tell you that gym class is their favorite, it is also a hit in Finland. Some of the schools even have small forests with cross-country ski trails right on their campus, so students can enjoy a 5k loop on their skis during gym class. Additionally, it is not uncommon to find classrooms in Finnish schools with looms, sewing machines, power saws, and woodworking equipment. Crafting and woodworking are staples of the Finnish educational system, and they have revised their curriculum to make sure that boys and girls learn how to sew and do woodwork. 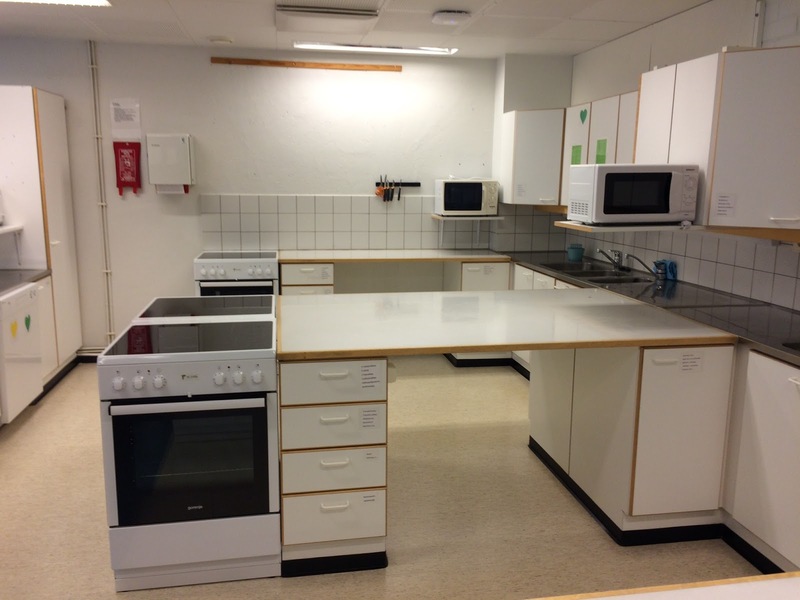 Home economics class is also alive and well in Finland, and many schools offer this as an elective class. 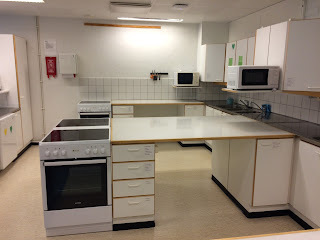 During one of my school visits, I walked into a classroom full of kitchen appliances, with eager students learning to cook and eat pancakes together. Some of the principals told me that home economics has become the most popular class in their school, as students want to emulate the celebrity chefs on TV. Of course, if I had the chance to eat pancakes in class, this might be my favorite class too! In the United States, we have a way of short-changing these "special" classes. When we have to prioritize, we limit our scope to math and language arts, sometimes clumping science and social studies into this as well. Although all of these subjects are important, Finland taught me not to underestimate the rest of the curriculum. After all, it is through these subjects that we truly learn about what we need for life. As a single adult, I have to admit that my learning in these "specials" classes has become increasingly important to my life. My Catholic school religion classes led me to a career teaching religion, and Mass on Sunday serves as the foundation of my week. Gym class has become more and more influential to me as an adult, as learning to exercise regularly, eat properly, and develop a fitness routine helps me to do my best. I'm even finding myself more drawn to music and the arts, as they make for a well-balanced life. As for home economics: The more I go on in life, the more I realize how I missed the boat by not taking a class like this. Last week, I felt inspired to sautee some chicken and kale for a nutritious and protein-rich dinner. My cooking errors were numerous. First, I did not marinate or season the chicken, leaving it way too bland. Next, I did not put enough oil in the pan, causing the chicken to cook slowly. After this, I added too much oil to compensate, giving the kale leaves a slick and greasy texture. The end result was a rather fatty and tasteless collection of chicken and kale- with plenty of leftovers for the next evening's dinner. Yes, I can positively state that I could have benefitted from home economics class! The more time I spent in Finland, the more I realized that these "special" subjects not only receive priority in school, but they are prioritized in life. The Finns place a high priority on the arts, and take pride in many of their classical composers and musicians. They enjoy physical fitness, and it is common to see many people walking, running, and biking outside on a summer day. The Finnish people are also experts in learning foreign languages, and were very comfortable demonstrating their English to tourists like me. Finland does not just prioritize these subjects because they want to give their students a break from math and language arts, but because they are important to living a healthy and balanced life. Please don't take any of this as a message against language arts and math, as they obviously carry great importance in school and in life. However, there is so much more to life than just academic work and so much more to school than just the core subjects. If you come to my home for dinner, you will realize just how important the "specials" classes really are.